July 1st is Canada Day and this year the country’s celebrating a major milestone with the 150th anniversary of Confederation. In 1867, following the Charlottetown and Quebec conferences, the British colonies of Canada, Nova Scotia, and New Brunswick were united into one federal state forming the Dominion of Canada. And now, 150 years later, we are gearing up to celebrate the sesquicentennial of our great nation with exciting activities, festivities, and fanfare all across the country. 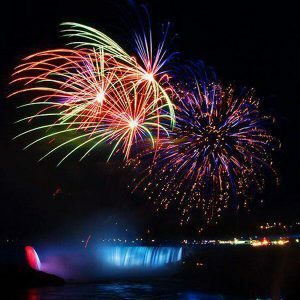 The city of Niagara Falls will be celebrating this special day with a number of exciting events and festivities organized and put on by the city’s newly formed Canada 150th Committee. The city has allocated $150,000 for this celebration and many plans are in the works to make it an unforgettable experience for locals and visitors. These plans include decorating the city with 150 light pole banners, an art exhibition featuring Canadian art, and great music from local musicians. Many more exciting events and activities will be announced in the coming months and visitors can expect Niagara Falls to be a beautiful and exciting place to celebrate the day. Canadians all across the country will be celebrating this special day in unique and thrilling ways, and if you have the chance to experience the 150th anniversary of confederation in an iconic Canadian city like Ottawa, Toronto, or Niagara Falls, you won’t be disappointed.